Color offers affordable genetic testing to help people understand their risk for common hereditary conditions. Color has announced a first of its kind initiative to open up population-level access to genetic testing for hereditary cancer and high cholesterol. The initiative is called Color Population Health. Color is a modern health service that applies expertise in robotics, genomics, software and design to a crucial healthcare challenge: preventing or detecting conditions where early knowledge can improve health outcomes and reduce treatment costs. Color’s affordable, clinical-grade genetic tests help people understand their risk for heredity cancer and heart conditions. Their doctors can then create personalized health plans for the patient. Color Population Health is designed to responsibly deliver preventative genomic information to large populations and will provide partners with full sequencing for genes associated with CDC Tier 1 genomic conditions: Heredity Breast and Ovarian Cancer, Lynch Syndrome, and Familial Hypercholesterolemia. 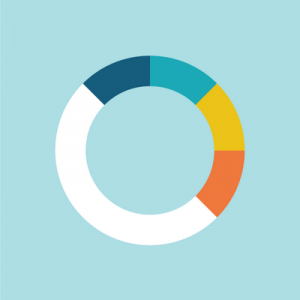 Color is launching Color Population Health with partners including the Sidney Kimmel Cancer Center at Jefferson Health and Thomas Jefferson University; The University of Chicago; and the University of California, San Francisco to provide genetic testing for those conditions to their patients. These partnerships expand on Color’s existing work to provide genetic testing to broad populations, including ongoing research collaboration with the University of Washington. Millions of individuals in the U.S. are affected by these serious but clinically actionable conditions, identified by the Center for Disease Control (CDC) as “Tier 1 genomic applications.” However, less than 10% are aware of their risk. Color’s Color Population Health initiative is a key step in increasing access to this important preventative health information. Those conditions are highlighted by the CDC because they have high impact on risk, have been studied in large populations, and have well-established interventions that confer a high probability of positive health impact for those screened. According to a health outcomes study by Precision Health Economics, commissioned by Color, universal screening for these three conditions among all U.S. adults has the potential to lead to the prevention of early detection of over 1 million cases of cancer or cardiac events over 20 years. Patients will have access to genetic counselors through Color or the participating institutions and receive physician education support, digital tools for health history collection and longitudinal surveys, and ongoing updates as classifications and guidelines change. All samples will be processed in Color’s CLIA-certified, CAP-accredited laboratory and interpreted by board-certified genetics experts. Color complies with the applicable requirements of the Health Insurance Portability and Accountability Act of 1996, as amended.